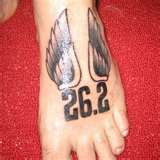 Immediately after signing up for the marathon, I told Ward that when I complete the marathon, I was going to get a 26.2 tattoo. As you all know, I completed said marathon, and now I need to plan that tat. Of course, I've been looking online for ideas. But, they are not me. Danielle's profile pic for her blog is simple and my style, but I don't want to copy her tat. I do know it's going to be on my foot, under my ankle, in the fleshy area. 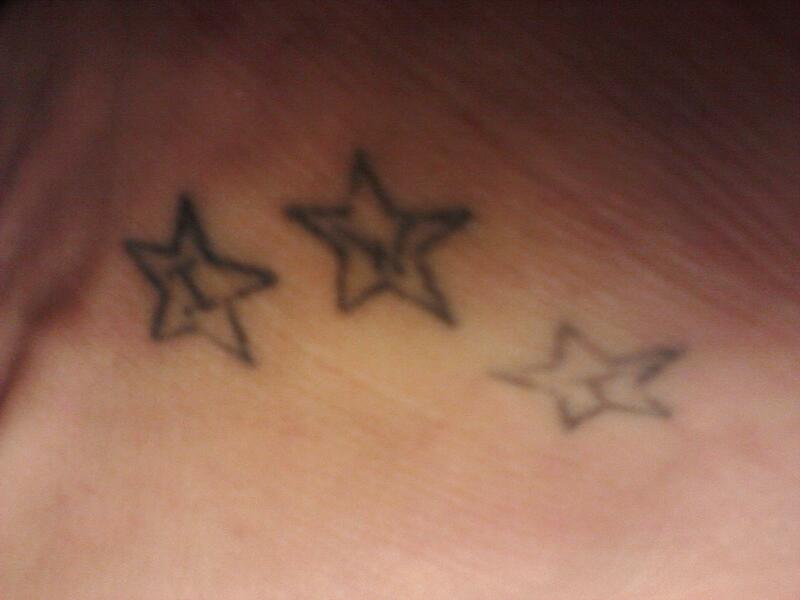 And it's going to be on my right foot, since this tattoo is on my left foot. I would like for this new addition to be simple and not too crazy - like this one. So, this is what I drafted. The idea is that for each marathon I complete, I will add another star. How many stars do you think I'll end up with? What if I become one of those incredible 80 year women still running marathons? I may end up with stars going up my leg. 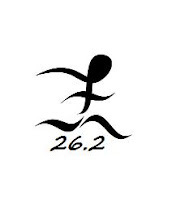 Am I crazy for wanting a 26.2 tattoo? And I love the star idea! Very cute! The star idea is a good one-I bet you will end up with several. You are so badass! I think I told you that yesterday too! Love, love, LOVE your idea! Nice and simple, is something you can build on, and relates to your other tattoo, which I also love, by the way. Do stars hold a special meaning? I've wanted to get something to signify Ian and the boys, but haven't been able to come up with anything. But I've also known that when I run my first marathon next year, I'll be getting a new tattoo also! I know quite a few people who get a tattoo after finishing their first marathon. I hope you find the right image for you! Thanks for all the kind words on my marathon posts! Love the idea you came up with, I say it is great and go for it! love it!! and please, copy mine if you like it :) im going to get another tattoo soon too i just have to figure out where on my body i want it! haha. tough decisions.